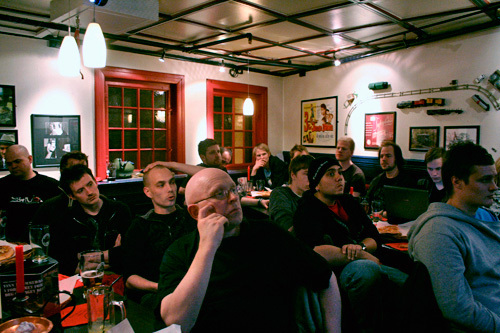 Flash User Group Norway (www.fugn.com) kicks off the season next Monday (September 1st) at 18:00. If you’re in the Oslo area or anywhere near, feel free to drop by. The User Group meetings are at Peppes (Stortingsgata, downtown Oslo) and they are open to everyone be it users of Flash, Flex or anything related to the Flash Platform. The meetings are informal with Beer, soda, pizza (and other foodstuff) served. Occasionally there’s presentations on relevant topics or spontaneous showcases of stuff people work on. It’s a great place to meet people, ask a question, discuss your designs or even get a job. I’ve been doing a bunch of Away3D tutorials for Flashmagazine lately. On Flashmag, I’m not focusing on using it with the Flex Framework. It’s rather a set of introductory tutorials. Yesterday I wrote some Flex code after I saw a question about this in the Away3D forums. Posting it here in case others find it useful. This example is really simple, but here I’ve made a custom component (viewport.mxml) that makes it really easy to add Away3D support to any Flex app. Just drag the component on stage, position / scale the viewport, name the instance and you are ready to go. In this example, I’m also using a standard Flex List control as the texture for the sphere. Clicking in the list will update the texture, but I was unable to use the “interactive” property of the material. Still useful though. Right click the example to get the source. In the coming weeks, I’ll keep adding Away3D tutorials so if you want to get started with 3D in Flash, drop by Flashmag’s tutorial section. Remember to download the latest version of Away3D either from SVN or the main download page. Incredible. The coating on my MacBook pro is pretty worn (where I hold my hands) but today the Command key broke in two? I sure use it a lot, but since MacBook Pro is a favorite with programmers, shouldn’t the keyboard handle our everyday usage? Update 3: Last 40 minutes I have tried both Eplehuset and Humac (the two suggested partners) and none of them answers the phone. Update 5: Eplehuset finally answered the phone and said “sure, no problem. 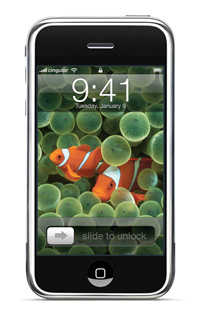 we’ll fix that for you.” They’re officially my Apple Heroes!